Synopsis: Big impression romantic actions and their significance starts our mini-love-lesson; which then goes on to explore love action vacuums; love like food; and more. Joe was really good at making grand, romantic gestures and big, extravagant impressions on women. He sent a stretch-limousine for his first date to pick up his first wife, a helicopter for his first date with his second wife, and before he went bankrupt he sent a large yacht for his first date with his third wife. Obviously Joe was great with big, romantic, impression-making but not so good at lasting, real love: he was good at catching but not keeping. Lover’s myths, stories, and histories abound with tales of grand gestures and outlandish actions which made huge impressions. They were done for launching, conveying, solidifying or repairing love, or at least so we are told. These giant gestures create astounding memories but, alas, they are not the stuff of which lasting love is mostly and best made. No, the research shows lasting, healthy, real love comes from small love-conveying behaviors enacted day after day, after day. A tender touch, a special smile, a tiny nod, some words of praise or thanks, a special little favor, a thoughtful remembrance, an extra embrace, a sweetness in the voice, or any other of thousands of different kinds of acts that can convey love – these are the things that make love lasting. 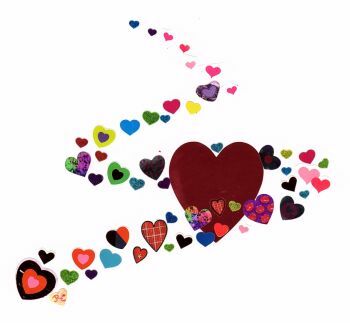 Those who give and receive love daily, through small acts meant to show love, create a kind of love cycling (see the “Cycling Love for Lasting Love” mini-love-lesson) that keeps a love relationship going on, and on and on. This is what field, laboratory and clinical research reveals. (Check out the latest findings from the Gottman Institute). Clinical research of which I have been involved points to the most relationship-destroying factor: a deficiency in the demonstration of love in an ongoing way. This was hard to discover because discovering ‘something that is not there’, or is absent is a lot harder than discovering something that is there. Probably that accounts for the fact that, until now, laboratory type research pointed to ‘the presence’ of derogatory and demeaning words and actions as being the most common relationship-destroying behavior. Both are very important. If there is an absence of regularly demonstrated love or an absence of good love reception, a love relationship is likely to wither and die. Some relationships do live on with very sparsely shown love but they are not thought to thrive like they could. If there is both the absence of daily actions showing love and the presence of demeaning words and actions, a really close, enriching love relationship is not likely to develop and most likely will die. Love relationships which are not so close, like those of distant friends and family members, can do well with only occasional actions conveying love. Also those who have previously done really well at showing each other love, but no longer have much contact, can sort of pick up where they left off to re-contact. The participants know that their love relationship continues though it seems at times dormant. Love is a psychological food. In fact, it is probably the healthiest and most energizing psychological food there is. Like with physical food, it helps to have daily meals. So, with your closest loved ones, it is best to be sure you regularly feed them, preferably multiple times every day. Also, don’t forget yourself. Healthy self-love also nourishes best when it is done regularly. A lack of small, daily showings of love leads to love malnutrition and love starvation (see the mini-love-lesson “Is Depression Love Starvation”). So, don’t starve those you love – spouse, children, closest friends, or yourself. Massive, well conducted research in social psychology led to the discovery of the major ways that people show each other love. There are eight groups of behavior that do this according to that research. Each of these behavior categories has been found to result in different benefits. You can learn and practice small, easily done behaviors in each category. 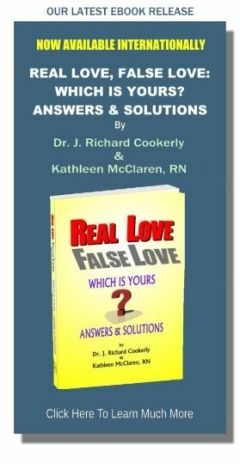 It is all covered in our books Recovering Love and Real Love False Love. You also can start learning about them with the mini-love-lesson titled “Behaviors That Give Love – The Basic Core Four”. There also are indirect ways that convey love but those are for another day. Sometimes the grand gesture comes from someone who is in one form or another of false love. Maybe they just want to make really big impressions for boosting their own ego or something like that. One of the signs of healthy, real love is the consistency of love actions. This is done a little bit, but not too much, regularly and fairly frequently, but not too frequently. Overdoing it can be just a symptom of insecurity. That does not mean that the grand gesture or big production can not occasionally happen. It just has to be mixed with the regular, more frequent and smaller love-conveying behaviors. Even if the great big, amazing, romantic things never happen, be sure to count the little ones you do get from those who love you. There are too many people who don’t notice or really receive the smaller love messages coming their way. So, remember that receiving love well is a major way to give love. Also regarding the occasional big gestures, remember, it is your job to ask for what you want if you are not getting it. ♥ Love Success Question: Who could you go show a little love to today, and what about tomorrow, and the day after that?